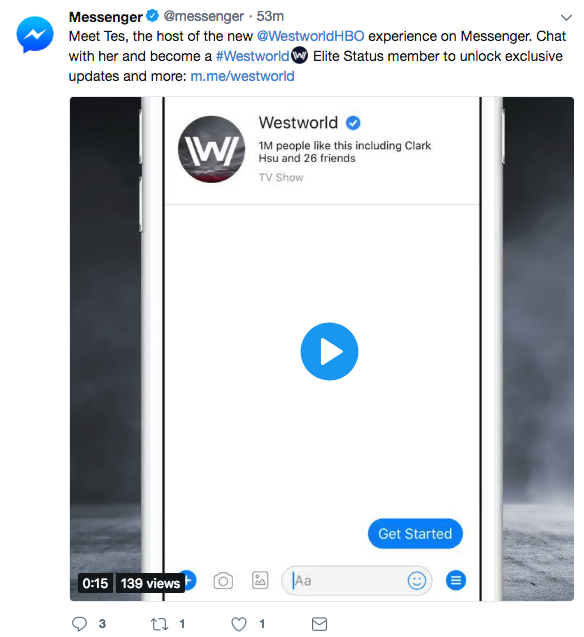 You see it all started with the Facebook account on Twitter sharing a link to chat with a Westworld bot by giving the link https://www.messenger.com/t/westworld and the link did not go to a west world bot but rather Lisa from Kentucky who had taken the username a while back before the show. The best part is Lisa did not even know what Westworld was. “I do not and I have never watched it,” she told Mashable. 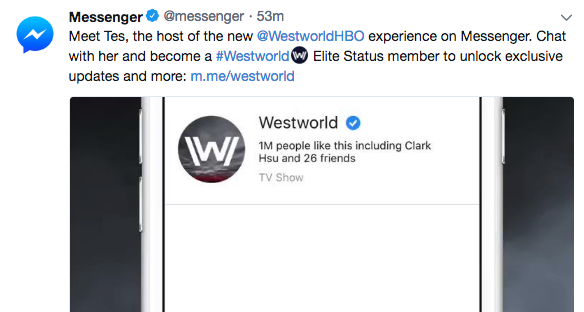 My last name is West and we refer to our home as Westworld lol. The Tweet was deleted not long after it was posted, but you can see it below in the screenshot. It was a mistake, but not one that should be all people talk about, Facebook quickly apologized for the mistake. The key part about this is that it can be a easy mistake to make, and the URL is a public url that Lisa created anyhow making it easy to find even if Facebook did not share the link on Twitter. Next New Owl City album Cinematic out now!